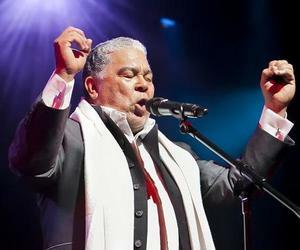 Puerto Rican singer Danny Rivera will give a concert on November 20 at Havana’s Karl Marx Theater, in which Cuban musicians and compatriots of his will accompany the visiting artist. “Canto a la Humanidad” is the title of the presentation in which Rivera will have the Coro Diminuto as special guest, a group with which he has already shared the stage, according to the Suenacubano digital portal. At the concert I will interpret pieces from my repertoire, some little known, he commented, addressing issues related to peace and fellowship among humans, he pointed out. It intend, he added, to have that always very fruitful encounter between Puerto Rico and Cuba. Extraordinary things happen on stage when our energies unite, he said. Recently, Rivera visited the island to participate in the third edition of Jolgorio for Polo Montañez, an event dedicated to honoring the life and work of the late Cuban artist, known as Guajiro Natural, held in the community of Las Terrazas, Artemisa province, where he lived and composed most of his songs. In that festival, the Puerto Rican artist, also a well-known composer and a poet, performed works by Montañez, which, he said, are very close to him for their musicality, simple poetry and direct way to reach people. In addition to this concert at the Karl Marx, other projects occupy the agenda of the outstanding musician in relation to Cuba, including recording a theme by Polo Montañez entitled Desde abajo.